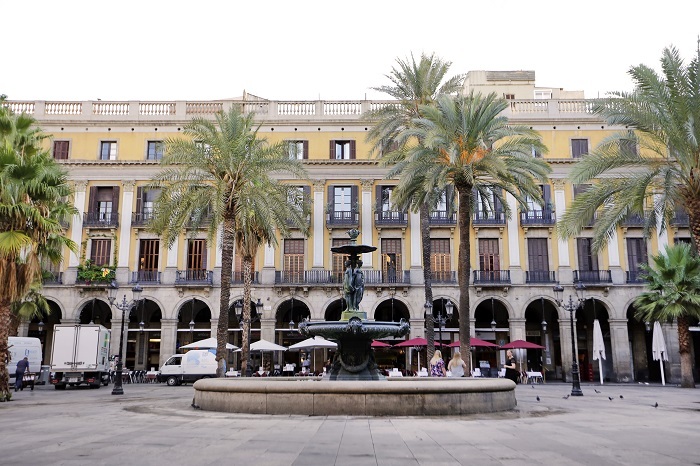 Our privileged location, right in the heart of Barcelona, means that just outside the hotel you will find lots of spots to see and incredible activities to enjoy while you take a pleasant stroll along La Rambla, the most emblematic street of the city. 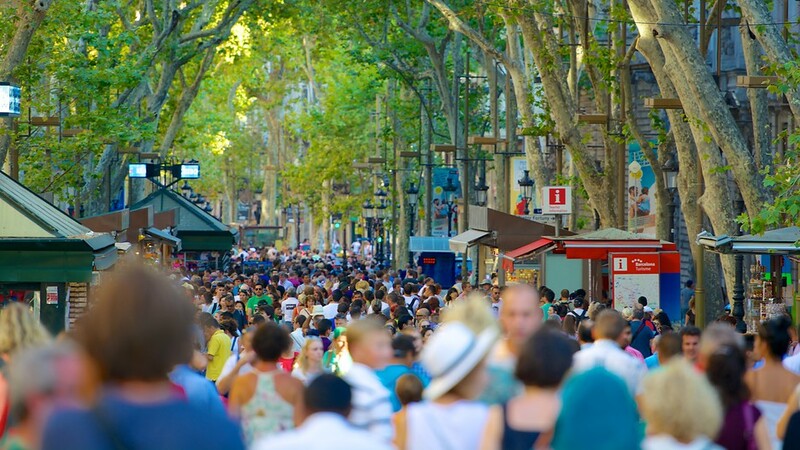 What will you find in La Rambla? La Rambla (where Hotel Arc La Rambla is located) is the most famous and busiest street in Barcelona and one of the main arteries of the city. 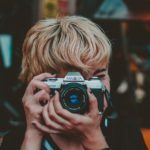 It connects Plaça Catalunya with the port, and along its 1.3 km you will cross beautiful kiosks of flowers and local products, centenarian shops, street artists and rivers of people in the middle of a great atmosphere. At the beginning of La Rambla, next to the port, you will discover the Mirador de Colón, one of the icons of the city. Inaugurated in 1888 on the occasion of the Universal Exhibition, the monument is formed by a majestic statue dedicated to Christopher Columbus (who chose the port of Barcelona to disembark after his trip to America) on top of a Corinthian column. At the top there’s also a viewing platform, from which you can enjoy a spectacular panoramic view of Barcelona at 60 meters high. Very close to the hotel there’s the Gran Teatre del Liceu, which is considered one of the most important and prestigious opera houses in the world. Since its inauguration in 1847, it has hosted greatest opera arias by renowned artists such as Enrico Caruso, Maria Callas, Luciano Pavarotti or the local artists José Carreras and Montserrat Caballé. In addition, the building is an architectural masterpiece that is worth visiting even if it’s only to contemplate its beauty from the outside. 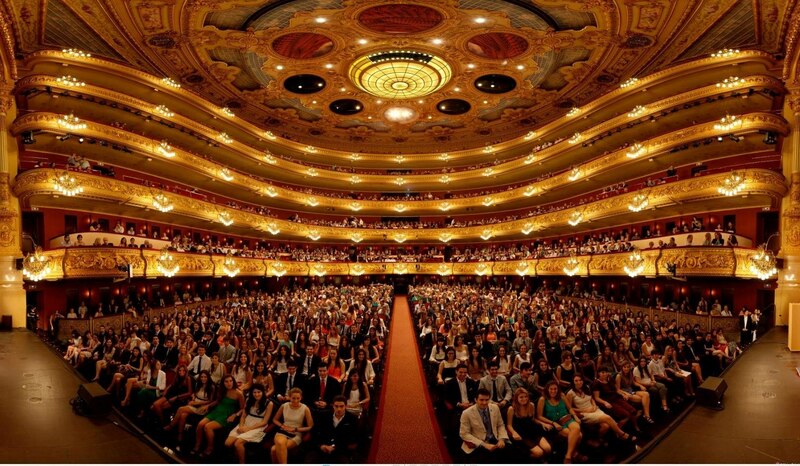 After being damaged by several fires and even an anarchist attack, the building has risen from its ashes and after its last reconstruction, it maintains the original essence, with some technical improvements, to become a cultural symbol of Barcelona and one of the theatres with a greater capacity in Europe (2,292 seats). A little before the Liceu it lies the Plaza Real, one of the spots with more history in Barcelona. 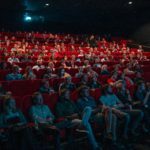 In this beautiful neoclassical square (in which scenes of movies like El Perfume have been recorded), there are buildings from the 19th century, traditional shops, restaurants, cafes and nightclubs, which means that is very crowded 24 hours a day. An ideal spot to have a drink and relax before continuing to discover the wonders of La Rambla or start a tour into the Gothic Quarter. After a long walk, you will need to recover and the best place to do it is la Boqueria Market, one of the most important gastronomic markets in Europe. 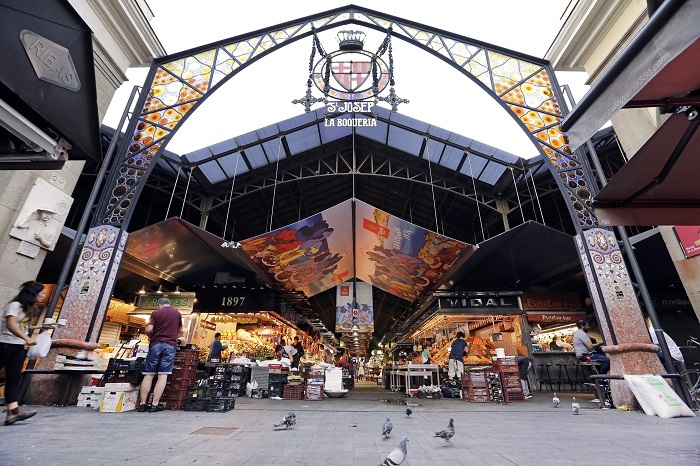 In addition to the typical Catalan products, in La Boqueria you can buy or taste the most exquisite and exotic delicacies from different parts of the world. 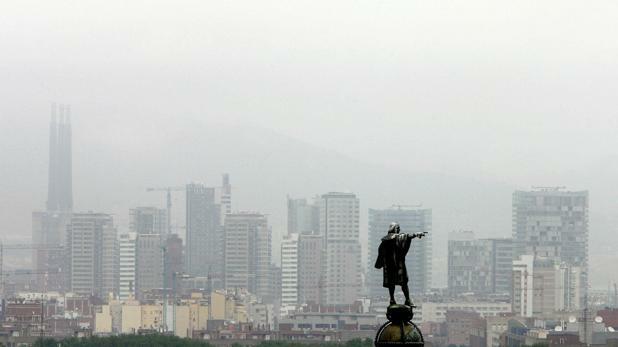 Barcelona is full of sculptures by great artists of modernism, but it is also known for having the famous human statues. 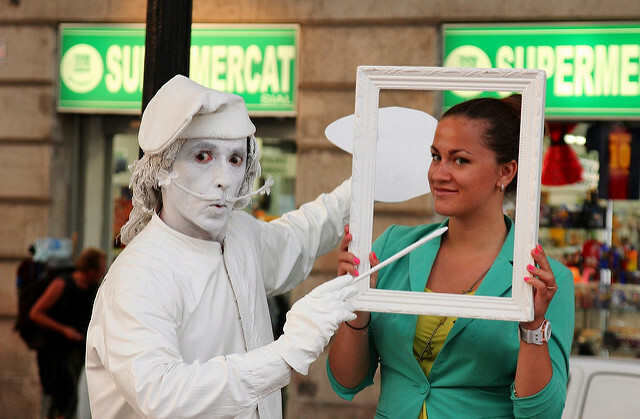 Salvador Dalí, Christopher Columbus or the famous cowboy are just some of the characters that coexist with painters, caricaturists and other street artists who have become in their own right one of the icons of La Rambla. A key destination for all the tourists who visit the city, Canaletas fountain is famous for being the meeting place for fans of FC Barcelona to celebrate the club’s titles. 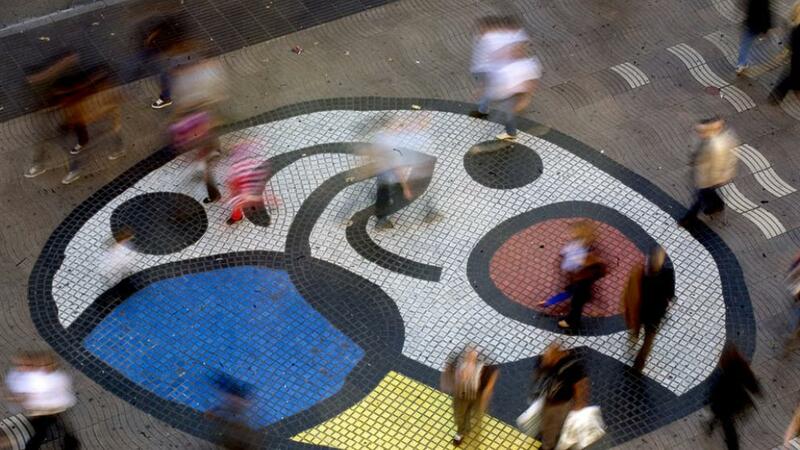 Probably more than one tourist has walked past the Joan Miró mosaic that decorates the heart of La Rambla without realising it. Just in front of the Liceu Theater and few meters from pasaje del Crèdit, where the Catalan artist was born, you will find this work of about 65 square meters composed of small terrazzo tiles in bright colours, designed by Miró in the late 60s as a welcome greeting to travellers arriving by sea. In 1885, the textile entrepreneur Eusebi Güell gave Antoni Gaudí the assignment to design his future residence on the street Nou de la Rambla. Declared a World Heritage Site by UNESCO in 1984, the Palau Güell was the first major work by Gaudí and is a magnificent example of the modernist architecture for domestic use. As in the rest of his works, the Catalan architect let all his imagination flow in an innovative and functional design in which stand out the stylised forms inspired by nature. During the Orientalist period, Gaudí was influenced by the Islamic and Oriental art to decorate the palace with ceramic tiles, arches and domes. The hall, with a chapel attached, is profusely decorated with columns, stained glass windows and bars, and leads to the rest of rooms, all with stained glass and ornate furniture. 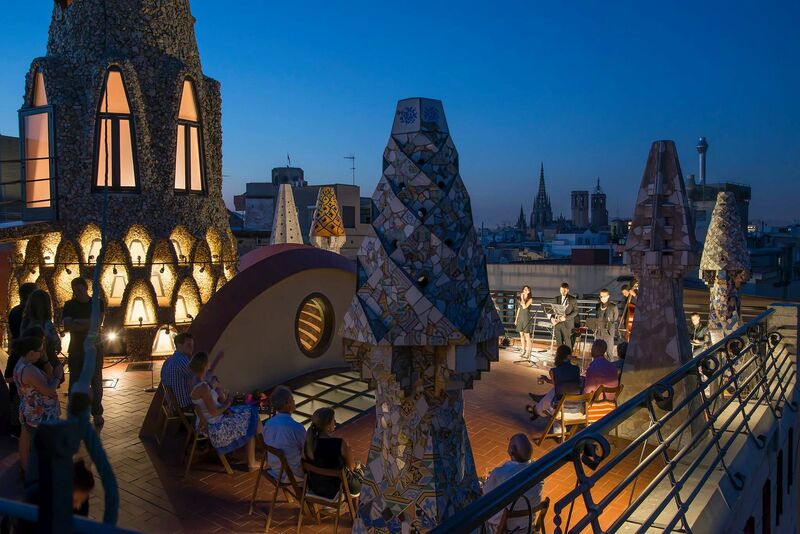 For its part, the roof of the building is decorated like a forest full of colours, with a set of chimneys that are typical of Gaudí and one of the ornamental elements that have characterised his work: el trencadís. 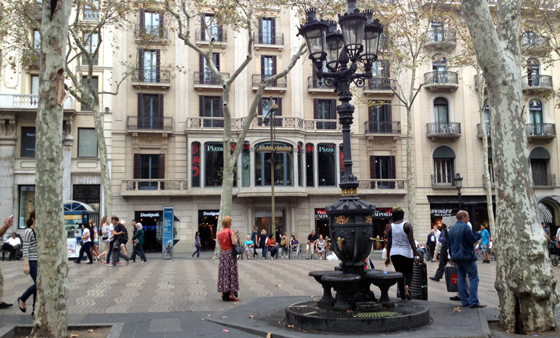 La Rambla has an offer so varied that we couldn’t explain everything in just one post. 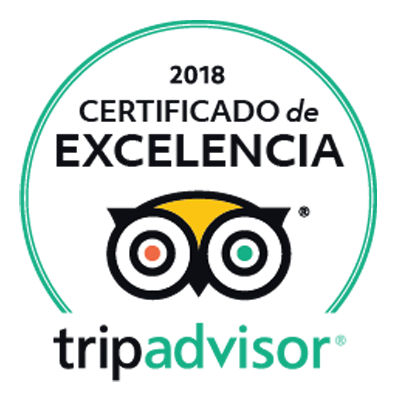 Stay tuned for our future publications on the best museums in La Rambla and other activities to enjoy in the hotel surroundings. 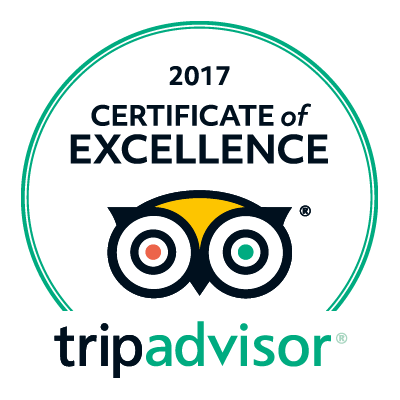 Do not hesitate to ask our staff if you need more information, we will be delighted to help you!